Private classes can be very helpful for mothers who have special needs including bed rest due to premature labor, expecting twins, breast reduction and those who prefer a more intimate setting. Call to register for a private class to accommodate your busy schedule! 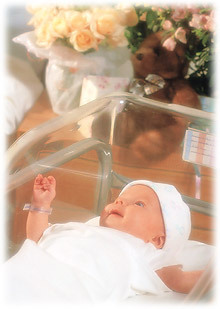 Your new baby requires special care. Learning how to care for your baby before he or she arrives makes your life less stressful and creates a more joyful experience for your family. Topics covered include hospital procedures and routines, head to toe normal newborn physical traits, sounds, and movements, diapering, burping, bottle-feeding, breastfeeding, sleeping expectations for parents and babies, and bringing your new baby home. Baby caring success is increased when both education and support are in place so be sure to bring your support person with you to the class. Grandparents may attend this class for free with you to better support you in this beautiful gift you want to give your baby. To make arrangements for a class date and time that best accommodates your schedule please call or email Jennifer at 954-520-0227 or jennifer@breastfeedingboutique.com. Click Here for Directions to the class. Breastfeeding is one of the most wonderful things only you can do for your baby. Knowing how to do this correctly is essential for Breastfeeding success. This one hour class covers everything you need to know about breastfeeding before you're asked to put your baby to the breast. Topics covered start with normal breast development during pregnancy, when to start breastfeeding, which breast to start on, how long on each breast, how to know if the baby is getting enough, will it hurt, when does the milk come in, what is engorgement, what is a lactation consultant, when do I introduce the bottle, and many other related topics. Breastfeeding success is increased when both education and support are in place, so be sure to bring your support person to the class with you. Grandparents may attend this class for free with you to better support you in this beautiful gift you want to give your baby.